The Red Sox said they will expand netting to the dugouts. The tentative plan is for the team to install fence-like netting between the backstop and dugouts high enough to protect fans within 70 feet from home plate. How high is yet to be determined. The guidelines announced Wednesday also apply to spring training ballparks. Two incidents at Fenway Park last season were among those that led MLB commissioner Rob Manfred to order a study on the feasibility of adding more protective barriers. Medical personnel attended to the woman at the ballpark before taking her to Beth Israel Deaconess Medical Center. On June 5, a woman sitting near the edge of the backstop screen was struck by a piece of broken bat and suffered what were described as life-threatening injuries. Tonya Carpenter, 44, of Paxton was struck in the head by a piece of broken bat after Brett Lawrie of the Oakland Athletics fouled off a pitch. 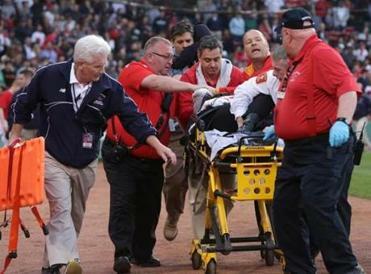 Carpenter was attended to by emergency medical personnel and taken out of the park on a stretcher that was wheeled past the Red Sox dugout as a police officer held her young son. She required brain surgery and was hospitalized for eight days. Her attorney, Clyde D. Bergstresser, released a statement Wednesday saying Carpenter was encouraged to hear that baseball is taking steps to increase fan safety. Carpenter declined an interview. On July 10, a woman sitting in the same area was hit in the forehead by a foul ball. Stephanie Wapenski, 36, of Branford, Conn., required more than 40 stitches. In addition to the netting, MLB also recommended that further warnings be given to fans in seats close to the field and that teams be prepared to offer medical assistance. “It is important that fans have the option to sit behind protective netting or in other areas of the ballpark where foul balls and bats are less likely to enter,” Manfred said in a statement. The Cincinnati Reds and Houston Astros are already in compliance, with the design of their parks leaving seats between the dugouts protected by the backstop. Along with the Red Sox, the Los Angeles Dodgers and Philadelphia Phillies immediately said they would comply. The other teams are expected to follow suit. The Phillies hope to install a thin material that is less noticeable, the Associated Press reported. The MLB Players Association has lobbied for additional netting in the past. Executive director Tony Clark said last spring that owners were resistant, fearing seats behind nets could have less value. By 2017, tickets will indicate whether the seats are behind the netting or some other form of protection. 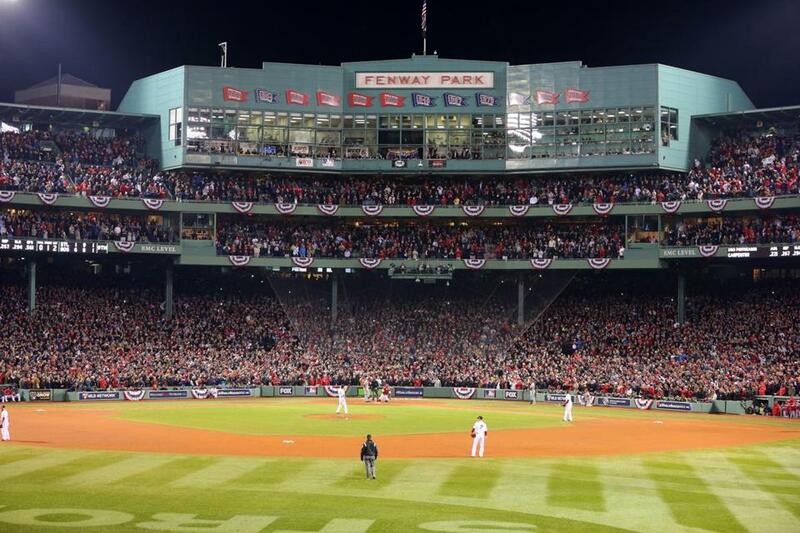 “The Red Sox take matters of fan safety very seriously and intend to follow the recommendations put forth by Major League Baseball by expanding the backstop netting behind home plate for the 2016 season,” the team said in a statement. John Henry, the principal owner of the Red Sox, also owns the Globe. President of baseball operations Dave Dombrowski said he supported the idea of extending the netting. Eric Moskowitz of the Globe staff contributed to this report. Peter Abraham can be reached at pabraham@globe.com. Follow him on Twitter @PeteAbe.